The ONLY Vein Center in Rockland and Orange County with an Accredited Vascular Lab necessary to diagnose and treat varicose veins; offering vein removal in New York and vein removal in New Jersey. Veins are the blood vessels responsible for bringing blood back to the heart. Leg veins work against gravity while you are standing. When you walk, your calf muscles squeeze the veins in your leg. One-way valves make sure the blood travels up the leg and not towards the feet. Varicose veins are weakened and dilated veins, sometimes with ineffective valves, that have permanently lost their elasticity and the ability to carry blood from the legs back up to the heart against the force of gravity. As the blood in these veins settle back down the leg and pool due to gravity, the veins bulge giving them their typical unsightly appearance. When these valves fail, blood pools in the vein making them stretch and cause discomfort. 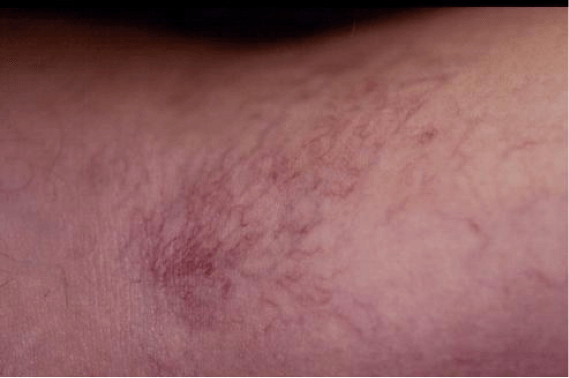 Diseased veins present themselves as spider veins, reticular veins or larger varicose vein (or varicosities). 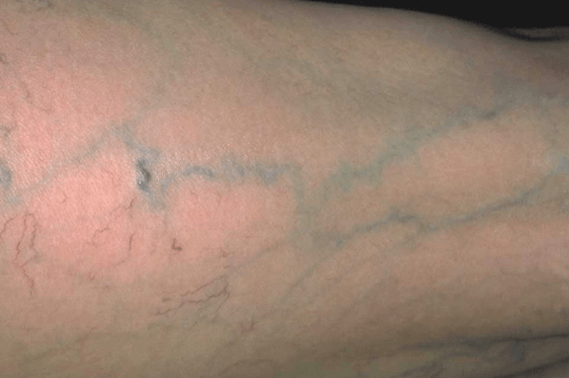 The location of these veins may be anywhere on the body. Most people develop varicose leg veins. Some people may also develop prominent facial veins. 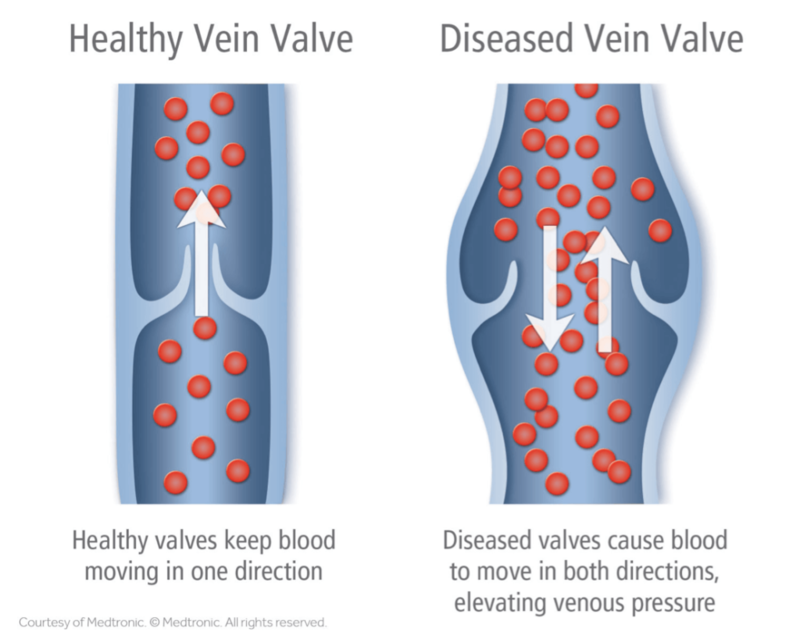 With prolonged valve dysfunction, a condition called chronic venous insufficiency may develop. 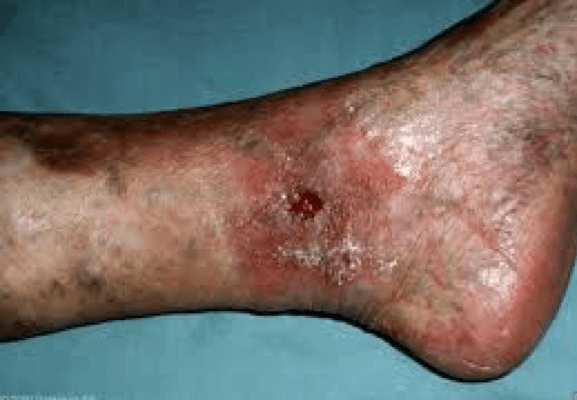 Prolonged chronic venous insufficiency can lead to persistent swelling, skin changes, pain and eventually, ulceration. Spider veins often occur along with varicose veins because of increased venous pressure. These tiny vessels are quite common and medically harmless. 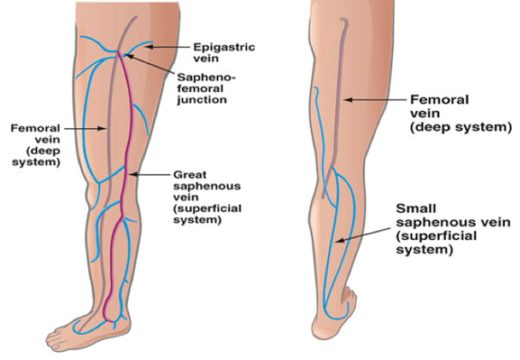 Varicose and spider veins are smaller red, purple or blue veins located just under the skin. They have a web-like appearance. Typically, they may be found on the lateral aspect of the thigh but may be found on other parts of the body. They rarely cause pain but are usually cosmetic concerns. Spider veins found on the leg are best treated with sclerotherapy. Some people may develop facial spider veins; these are best treated with Vein Gogh treatments. Laser vein treatments are also used but may be less effective way to treat varicose and spider veins. For spider vein removal new york and new jersey, contact us today! Reticular veins are larger blue or green veins located just under the skin. They are usually “feeder” veins of spider veins. They can cause pain occasionally. They are best treated with venous sclerotherapy, foam sclerotherapy or ambulatory phlebectomy (or vein removal surgery). Varicose veins are larger rope-like veins. They cause pain and can lead to other complications including chronic venous insufficiency and occasionally phlebitis. 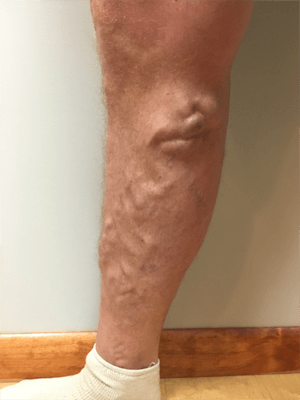 Large varicose veins are often due to failure of the valves in the great (or long) saphenous vein or short saphenous vein. They are best treated with vein ablation surgery in conjunction with vein removal. For varicose vein treatment in New York and New Jersey, contact us today. Varicose veins are unsightly. Most of the patients that we see for evaluation complain of cosmetic problems. The appearance of varicose veins are an issue but they are also the source of symptoms such as; pain, itching, swelling, burning, leg heaviness or tiredness, skin discoloration. Symptoms typically worsen throughout the day and are partially relieved by elevation or wearing compression socks or stockings. If the skin over a vein is very thin, they are prone to bleeding. A shower or minor trauma can cause a varicose vein to burst and bleed. Skin tears or ulceration indicate a very severe case. They can occur spontaneously in a patient with long–standing chronic venous insufficiency. Venous ulcers are very hard to heal. Treatment of these veins eliminate these symptoms. Left untreated, varicose veins worsen over time. The diagnosis of varicose veins is often clear. However, in order to choose the correct treatment, high quality non-invasive testing is necessary. When possible, keep your legs elevated above the level of your heart. Get regular exercise such as walking and swimming to maintain good blood ..flow and circulation to the legs. Maintain a healthy body weight to lessen additional pressure on your legs. Avoid prolonged periods of sitting and standing. While sitting for long periods ..of time at a computer or on air flights, stand and walk about every hour. Wear compression stockings to help reduce pooling of blood in the leg veins. Avoid sitting with your legs crossed, as it puts pressure on the veins. Who is at risk for developing varicose veins? With a number of treatment locations, Palisades Vein Center offers unmatched convenience and access to quality laser vein removal in New York and New Jersey. Located in the sought after metropolitan hubs of New York and New Jersey, our treatment facilities attract highly talented medical professionals with decades of experienced, committed to providing quality care and service to every patient that enters our centers. We are the top choice for spider vein treatment in New York and New Jersey, offering the widest range of procedures for varicose veins including vein ablation, sclerotherapy, and VenaSeal, to name just a few. From laser vein removal to vein removal surgery, we are confident in our ability to provide you with affordable treatment options unlike any other center. Contact the professionals at a Palisades Vein Center today to discuss the options available for varicose vein treatment in New York and New Jersey, and begin your journey towards regaining the legs and body you’ll love.